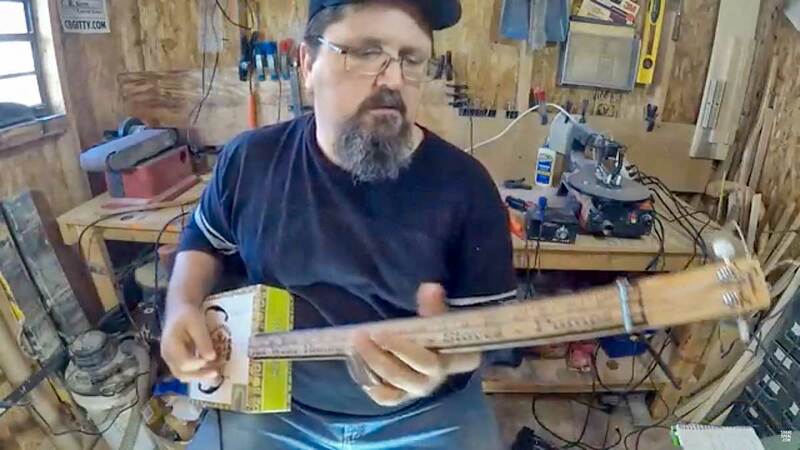 Pickup for cigar box guitar promises "authentic 1960's pawn shop guitar tone"
There should be a name for luthiers that use cigar boxes as their source of wood for bodies. There are people who make cigar box ukuleles, cigar box guitars, and cigar box violins. There was one craftsman who asked Winston Churchill for his empty cigar boxes and made a very fine violin out of them. In Long Beach, Washington, a town just North of Astoria, Oregon (on the Columbia river), there is a luthier who makes ukuleles as well as three string and four string tenor guitars. His name is Alan Matta, and he uses whatever he can scrounge in cigar boxes and materials. Each instrument is unique. 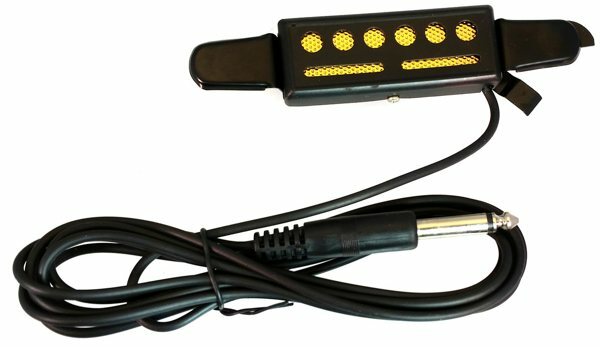 They all come with a piezo pickup so you can plug them into a small amp, or if you want to rock the neighborhood, your Marshall stack. 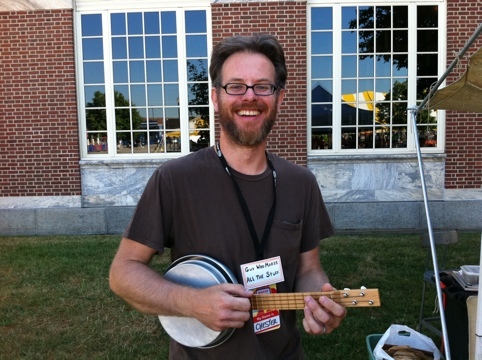 It's time for the Pennsylvania Cigar Box Guitar Festival! 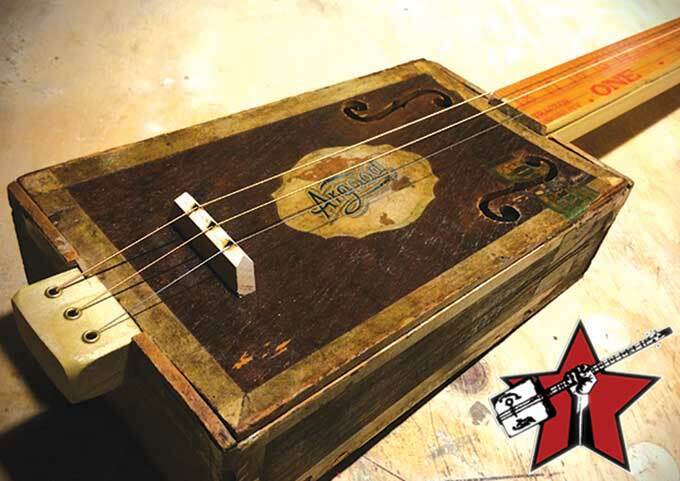 This Saturday, August 25, The York Emporium Bookstore and the city of York PA will host the Pennsylvania Cigar Box Guitar Festival This event has become the biggest cigar box guitar fest in the world with an expected audience of 2000-4000 people this year. It coincides with the YorkFest fine arts festival, bringing in attendees from throughout the US Mid Atlantic States. The Saturday CBG Fest will have 14 acts on two stages, instrument vendors, food and more. Performances include Chicago blues legend Glenn Kaiser, Make Magazine contributor One String Willie, April Mae and the Junebugs, Cigar Box Guitars author, David Sutton and the "king of the cigar box guitar," Shane Speal (pictured). 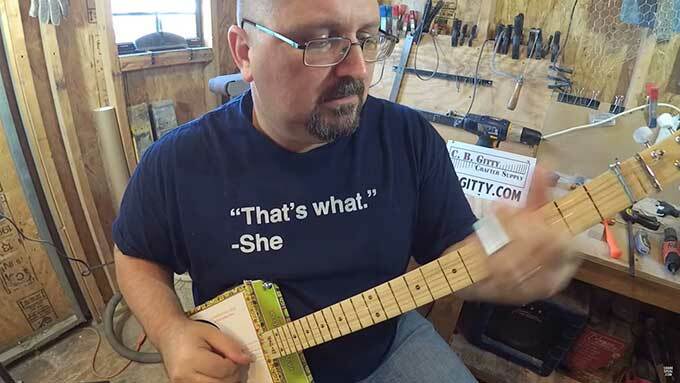 Kirk Withrow, a surgeon and cigar box guitar maker, imparts a good deal of maker wisdom in this lovely CNN profile. "I absolutely don't want to make them to support myself. Once you switch from making something because you feel like it to doing it because you have to it takes away from it," he said. "My main goal is to make them so they play very well. It's more about the process of doing it. I learn something new every time so I'm constantly reinventing." I met Chester Winowiecki at Maker Faire Detroit (happening this weekend). He makes cool stringed instruments out of pie pans and cookie tins. They sound great! I've asked him to write a pie pan banjo uke how to for MAKE. I can't wait to make one myself.